The NRS Ultra Jane Wetsuit isn't just a men's wetsuit by another name. With a feminine cut and a comfortable, convenient women's relief zipper, it's got all the features of the best men's suits and more. 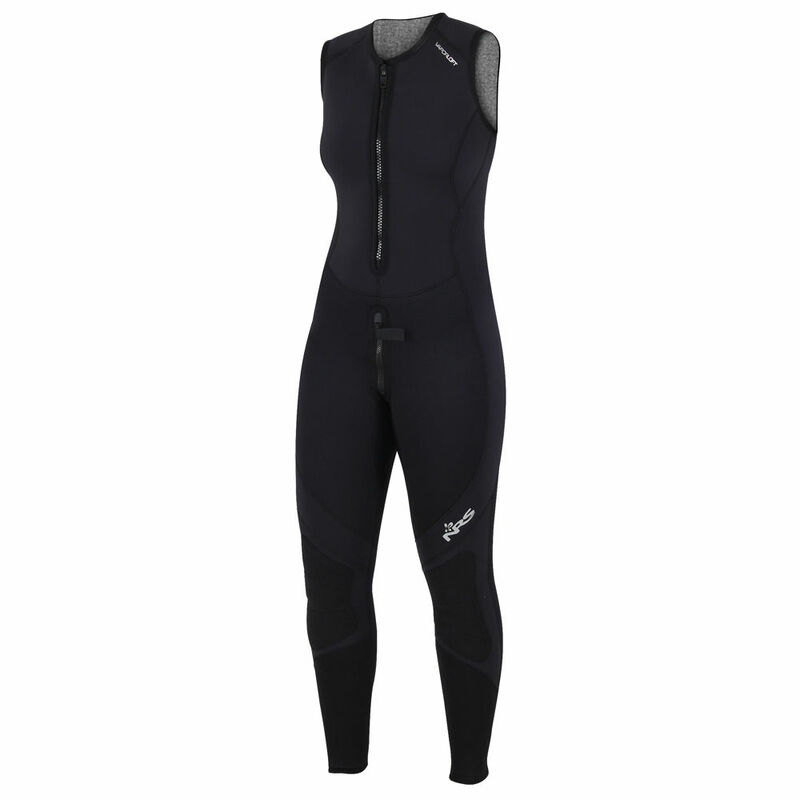 The Ultra Jane's neoprene-lined relief zipper lets you answer nature's call without taking off the suit. Who wants to put on a cold, damp wetsuit in the morning? Our exclusive VaporLoft� lining eliminates clamminess and feels soft and warm against your skin. 4-way-stretch PowerSpan� panels that wrap from the tops of your shoulders to the front of your belt line adapt to your movements for unrestricted range of motion and improve fit. 3-mm Terraprene� neoprene provides outstanding insulation in cold conditions. YKK� ankle zippers make this suit easy to pull on over booties. ToughTex� pads protect your knees, and ToughTex armor on the seat adds durability.